This was the longest project we’ve ever worked on as a company, and lots of setbacks and crazy bumps along the way. But the result is the best chocolate bar we’ve ever made. It all began back in 2015 when we were still working out of our tiny apartment in Los Angeles. 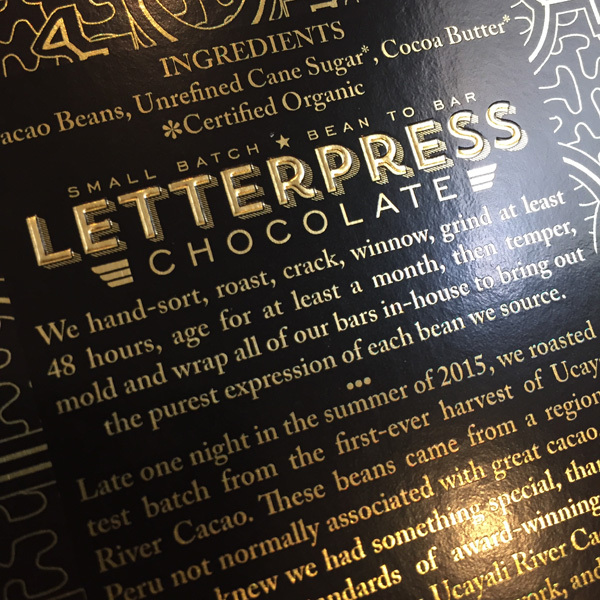 Dan O’Doherty of Cacao Services had sent us a few samples from some different regions he was working with, and our job was to process them into chocolate and send sample bars back to him in Hawaii so we could discuss the possibility of working with any of them. As was usual with samples from Dan, the ferments were all impeccable but the flavor profiles could be hit or miss. Well, we were preparing the Ucayali sample and noticed how incredibly clean and even the beans were. Then we started roasting. The whole house began to smell of star anise, cinnamon, and fennel. 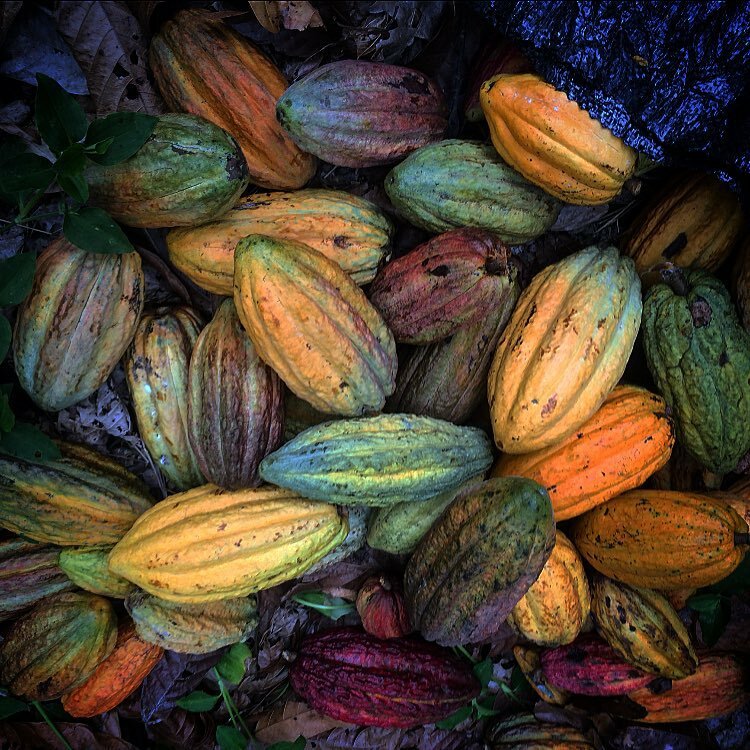 Aromas we’d never smelled from cocoa beans before. We pulled the beans out of the oven and cracked a few open for tasting. Corey looked at me and said “buy as much of this as you possibly can.” And so we did. 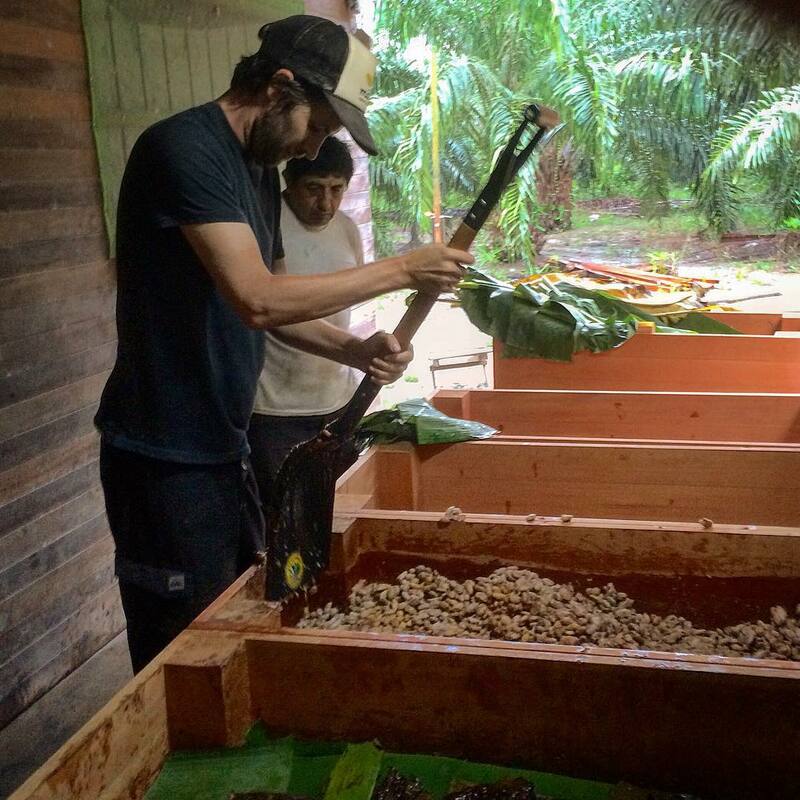 Dan O’Doherty explains how to work the cacao in the ferment boxes at Ucayali. The problem was that this was a microlot of beans that Dan had fermented, and we could only get a small amount. 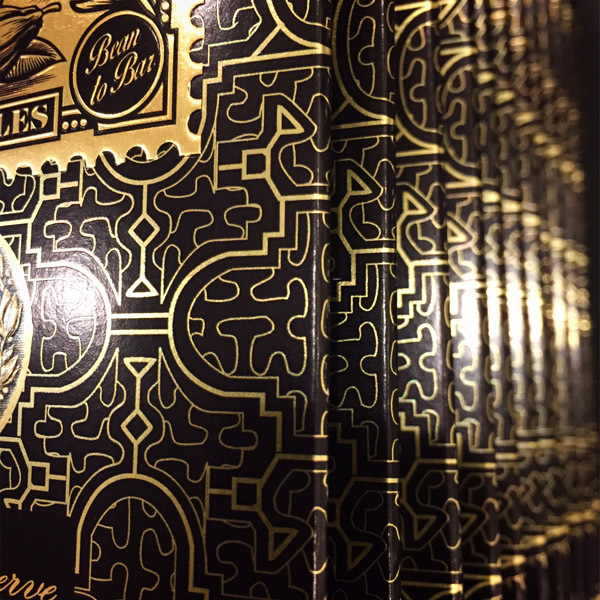 Well, when we released it in Seattle during our Craft Chocolate Week event, we sold out in less than a month! 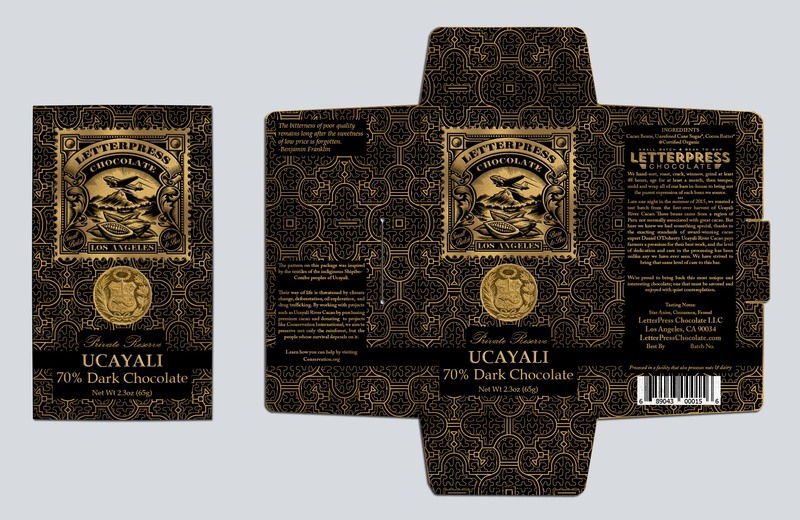 People kept emailing us asking when they could get more Ucayalibars, and we had to say we didn’t know. We were anticipating a shipment sometime in the summer of 2016, but due to various logistics issues, the bags didn’t arrive until almost February. When we got them, we noticed the beans were different than before – they still had that beautiful star anise note, but the cinnamon had given way to a mocha and cedar finish which we thought was incredible. It was incredibly tricky to hit our mark with this bar. We did test after test, playing with the roast, timing the sugar, even changing the percentage to make sure this bar was the best we could make it. 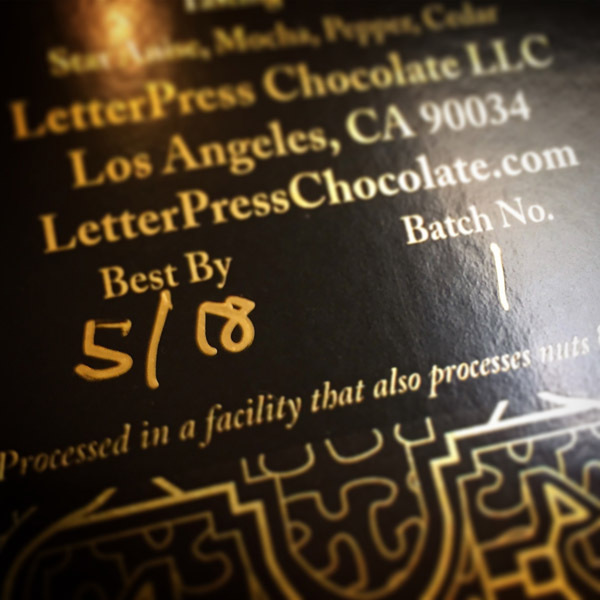 And finally, nearly two months after receiving our shipment, a year from when we sold out of the First Harvest bar, and nearly a year and a half from when we first started, the wait is over. 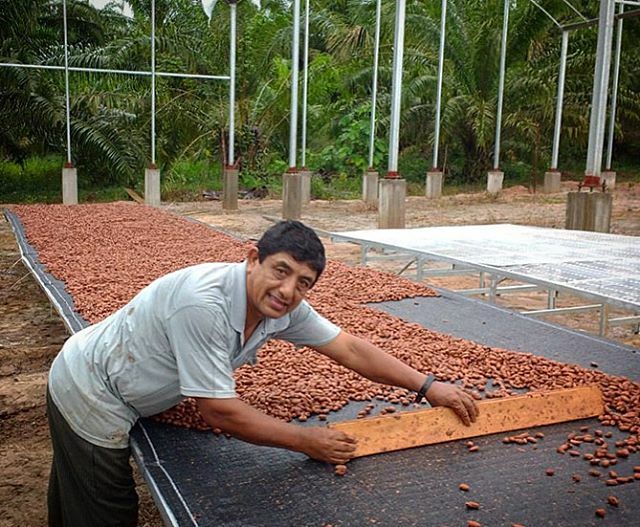 Drying the 2016 harvest of Ucayali, what we currently have. 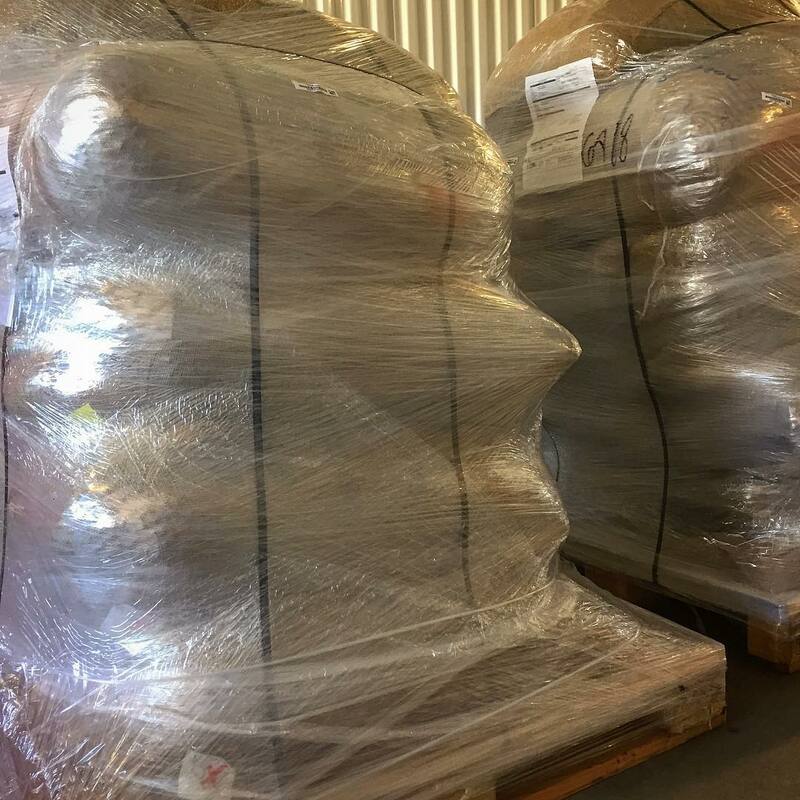 Our first shipment of Ucayali to our warehouse in Los Angeles. The next issue was the packaging. 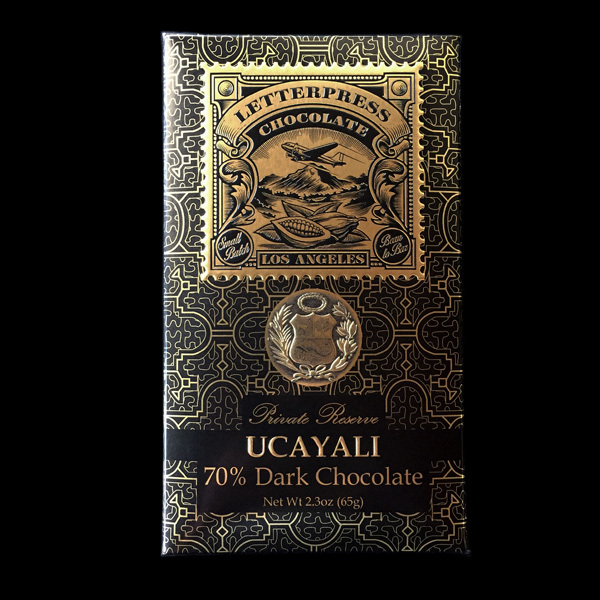 Robin Jordan, farm manager of Ucayali River Cacao, suggested we use a pattern borrowed from the indigenous Shipibo people of Ucayali. 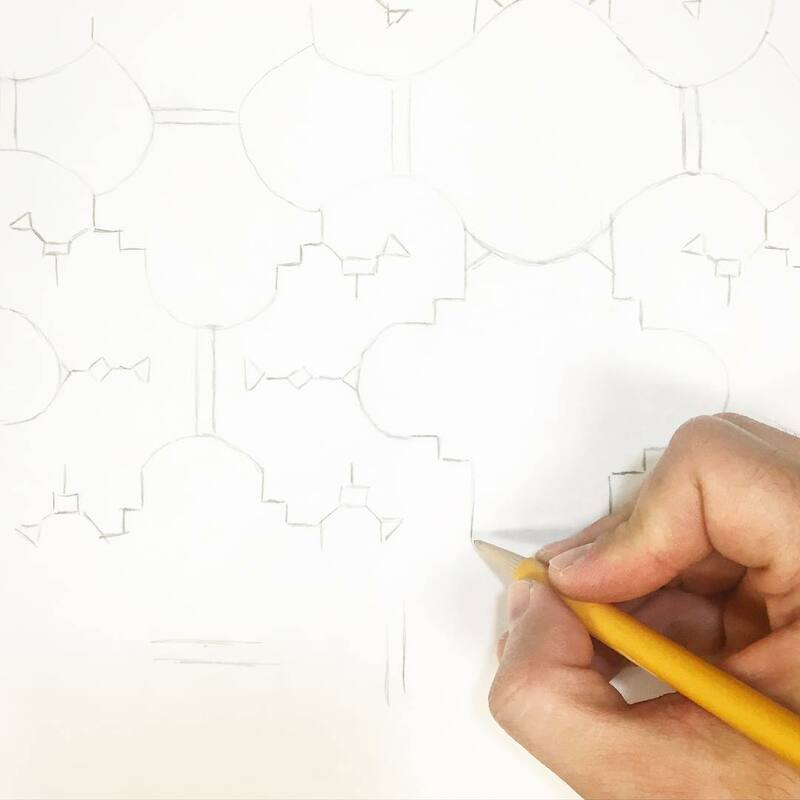 Their work is very geometric and we fell in love with the idea immediately. 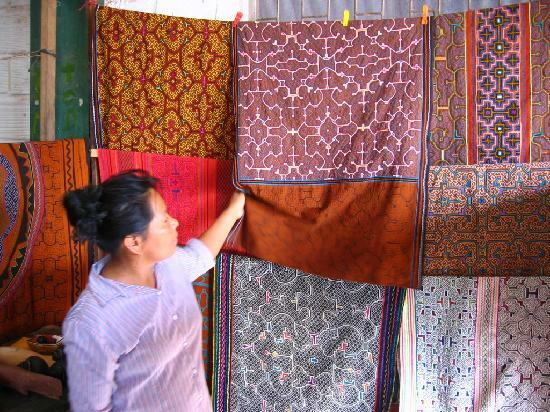 Shipibo textiles from the Ucayali region of Peru. 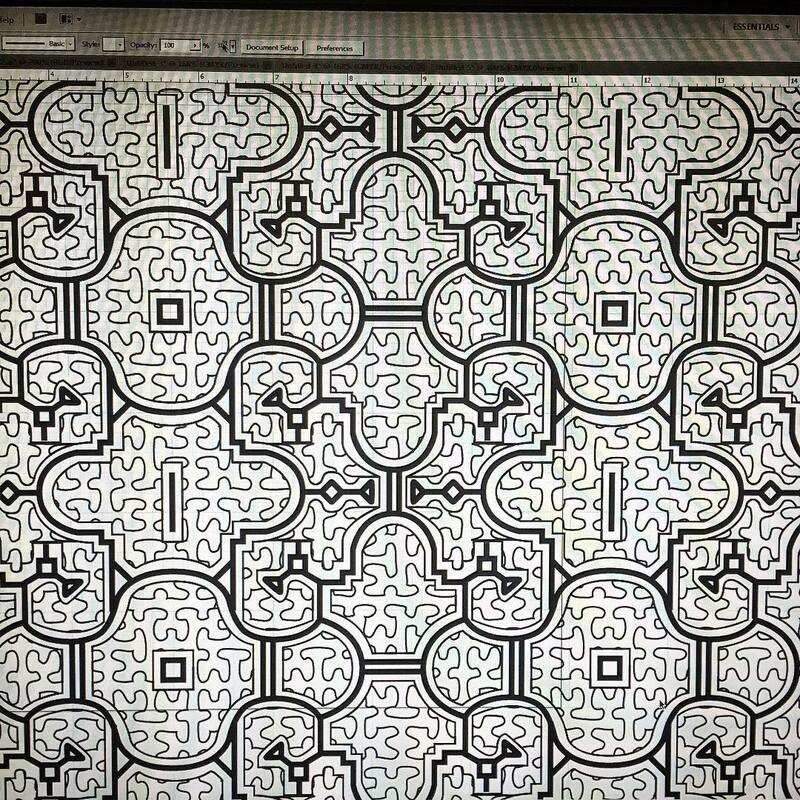 I started by sketching the basic pattern and scanned it, tracing my work in Adobe Illustrator to create a repeating pattern. Now that we had a pattern, we had to figure out how to print it. 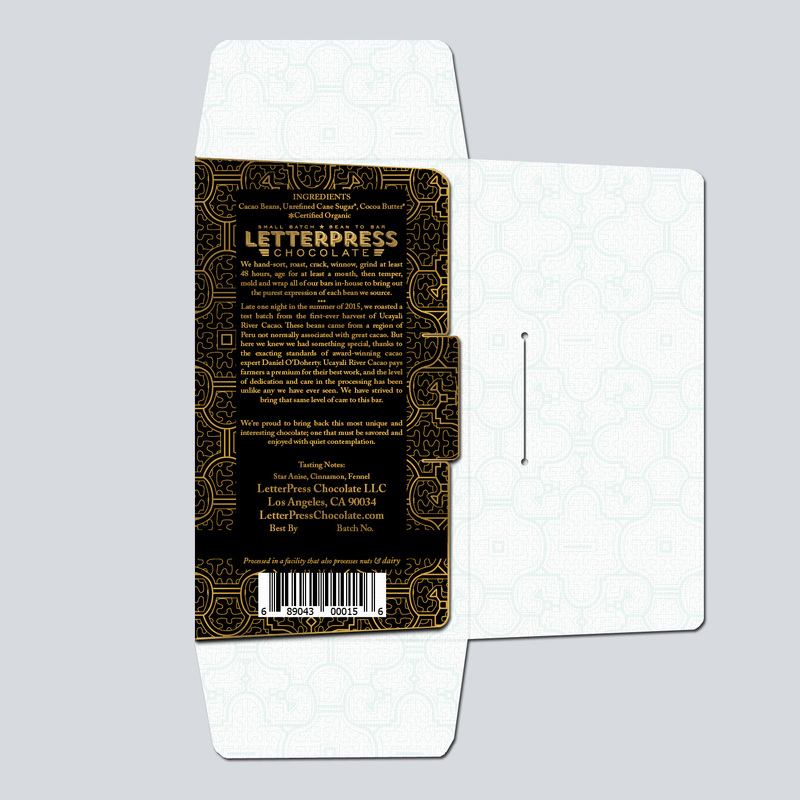 I had a very clear idea in my head what I wanted, and produced renderings to send to our printing company. 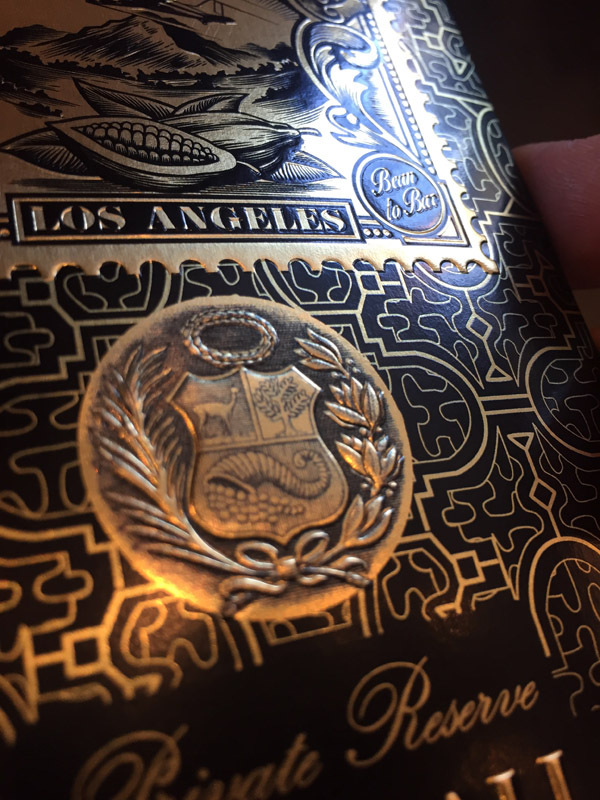 The idea is that everything you see is gold foil. The pattern, the text, everything. And now, it’s available for you! Check out our Online Store.